We bake gingerbread every year with my children when the Xmas is approaching. 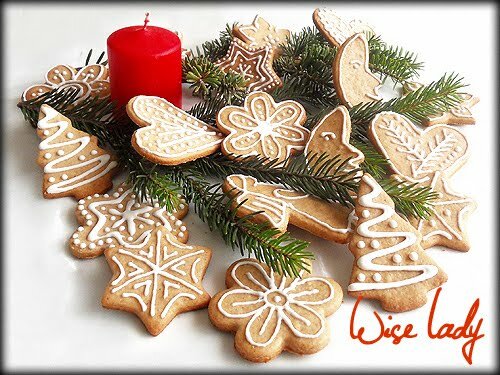 This is a festive and traditional biscuit in our country and gingerbread making's tradition goes back for centuries. Ginger is totally omitted from Hungarian gingerbread. Literally this is a honey biscuit with cinnamon and cloves. 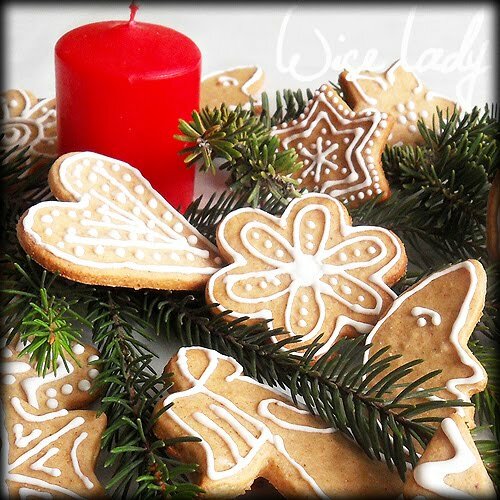 Usually there are two types of gingerbread: Ornate version and eating version. The xmastree is usually decorated with the ornate version which is not as soft as the eating version. Put gingerbread in a metal box whenever you cook it. A few days before Christmas peel an apple. Put apple cloves on a piece of aluminium foil but do not cover them. Put the apple cloves in the box between the cookies. This way on Xmas Day they will be soft. Mix he flour, sugar, cocoa, baking soda, cinnamon and cloves in a bowl. Melt the butter and the honey together to about 50 Celsius (120 Fahrenheit). Add honey and egg and egg-yolk to the dry ingredients. Mix well, knead it with a spoon (or in the food processor, it is better). Take care, the dough is sticky. Meanwhile preheat the oven to 180 Celsius (350 F). Take the dough and knead it. Stretch the dough and sprinkle flour under and over it. Thickness: 2-3 mm. Cut the dough out into various shapes ( using favourite cutters). Place them on greasy paper/foil (or without them). Put them into the ovenpan and bake them until golden brown. (8-10 minutes). Let it cool. Put them into a box. Decorate the gingerbreads with white icing when cooled down. Beat the egg whit for 2-3 minutes with mixer, add the vinegar and beat again until it will be very hard (about 4-5 minutes). Add 1 tbsp powdered sugar and mix, then add remaining sugar gradually. Mix them well. Put white icing into nylon pouch. Cut a tiny hole of the pouch's coign. Decorate the gingerbreads. Leave them on the table until the icing is dry (about 2-3 hours), and put them into a metalbox. There are a bunch of recipes on your Hungarian site that I would love to have translated as they are not on the english site. I am of Hungarian descent but don't speak/read the language. I just recognize the foods lol. Please contact me so we can discuss this. Thank you so much. Miss Cristal: Write me an email with your address on the Contact page of this site please. Is there a specific way to harden the cookies to make the ornaments? Also, is there a way to make the icing harder so it is less likely to chip (since it will be hanging on the tree and might get knocked down)? Ornaments cookies are not required to be soft. They will become hard on the tree because the air dries them. 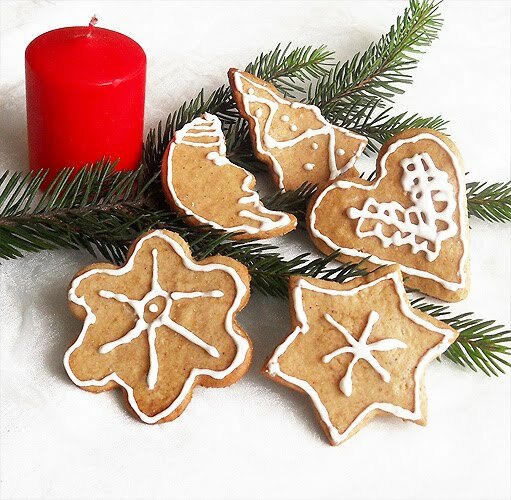 Here is my recipe of the soft gingerbreads to eat.